Hypnosis and IBS – Improves your Quality of Life. Irritable Bowel Syndrome (IBS) is included among the most common functional disorders of the gastrointestinal tract. Alike other functional GI disorders, IBS comprises atypical changes in the normal functioning of gut, without any obvious structural changes. IBS symptoms are correctly characterised by recurring abdominal pain and uneasiness, more often accompanied by changes in bowel functioning such as constipation, diarrhoea, or a combination of both. These IBS symptoms typically last for years after they start, but are often irregular. Living with IBS is quite painful and stressful. IBS is the most commonly seen problem by gastroenterologists in their practice, and it is predominantly found in women, with females representing over 70 percent of IBS sufferers. Even though the cause of IBS is unknown – it is extensively accepted that stress and anxiety have a huge impact on the functioning of the gut and the coordination of bowel movements. While there is no cure for Irritable Bowel Syndrome, however, there are a number of effectual ways of controlling and even eliminating IBS symptoms. In addition to ensuring that the symptoms meet the criteria for IBS, it is often imperative to execute some testing in order to exclude other disorders which may produce similar symptoms as IBS. This testing may include a blood sample to rule out infection, a stool sample to rule out parasite infection or bleeding in the gut, or sigmoidoscopy or colonoscopy to look for lesions and other abnormalities in the intestines. Other possible problems that might be misdiagnosed as IBS include Crohn’s disease, ulcerative colitis, and lactose intolerance. Hence getting a physician thoroughly assess the problem is a wise step. Hypnosis can be a highly effective treatment for IBS as it targets the anxiety and stress that affects the digestive system. Hypnosis is included among the several approaches to treating IBS effectively. However, IBS and hypnosis treatment has some advantages that are making it an attractive option for many IBS sufferers with chronic and severe symptoms. 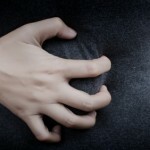 For the most successful treatment approaches for chronic IBS – hypnosis is the answer for you. As per an article by Dr. Olafur S Palsson, a licensed clinical psychologist, the rate of response to treatment is better and about 80 percent – this has also been mentioned in most published studies to date. The treatment also helps individuals who have not seen success in getting improvements with other methods and is an exceptionally comfortable form of treatment involving relaxation. IBS and hypnosis utilizes the healing power of your mind and is entirely without negative side effects. This treatment results in improving other problems as well including tension headaches or migraine, in addition with the improvement in IBS symptoms. One of the beneficial effects of this treatment is that it last for a longer duration after the end of the course of treatment. Individuals who have confirmed improvement from hypnosis treatment for IBS can experience reduced bowel symptoms in the coming years. The best way to receive hypnosis therapy for IBS can be as a part of optimized management entailing standard medical care. Hypnosis will surely help you manage and reduce the stress response that causes spasms and will improve your bowel movement. For improving the quality of your life adapt hypnosis for treating IBS.